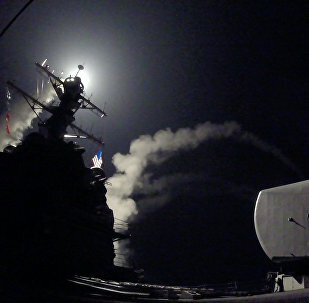 In the early hours of April 7, the United States launched 59 Tomahawk cruise missiles at the Syrian military airfield in Ash Sha’irat, located about 40 kilometers (25 miles) from the city of Homs. US President Donald Trump said the attack was a response to the alleged use of chemical weapons in Syria's Idlib on Tuesday, which Washington blames on the Syrian government. 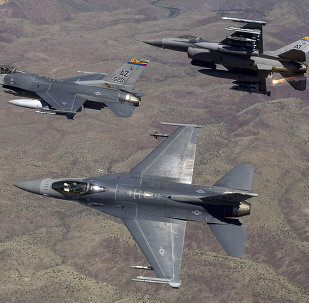 Democratic lawmakers have called on President Donald Trump to report any unauthorized use of force in Syria within two days, US Congressman David Cicilline and nine other Democratic members of the House of Representatives stated in a letter on Thursday. 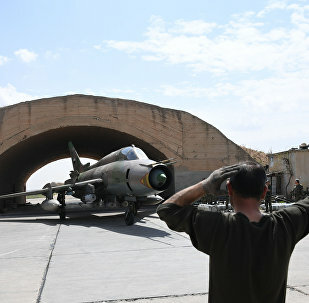 The Syrian authorities began returning fighter jets and military personnel to the Homs airbase that was attacked by the United States in April, US media reported on Wednesday citing defense officials. 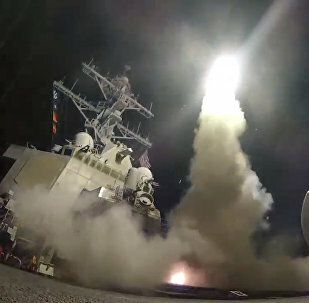 A United States watchdog group has filed a lawsuit seeking to force Donald Trump’s presidential administration to explain the legal reasons behind a missile strike on a Syrian airbase in April, The New York Times reported. 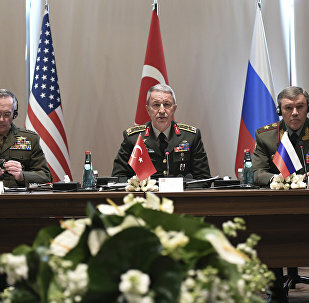 The Russian chief of general staff and the US chairman of the joint chiefs of staff confirmed the sides' readiness to fully restore the memorandum on preventing incidents in Syria's airspace and discussed the establishment of four de-escalation zones in the country. US Vice President Michael Pence said Saturday that the attacks against Syria and Afghanistan, which US President Trump authorized, mark the restoration of American power. What the US did in Syria casts doubts on Donald Trump's pledge to fight Daesh, the Russian Foreign Intelligence Service chief said. 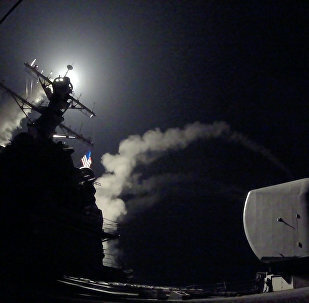 Russia’s Foreign Ministry spokeswoman Maria Zakharova has criticized the US missile strike on Syria, saying it was against international law and "brought the situation nowhere." The US aggression against Syria undermines chances to create a broad anti-terror coalition, the Russian foreign minister said. Washington's missile attack against the Syrian airbase on April 7 posed threat to Russian servicemen, Defense Minister Sergei Shoigu said on Wednesday. 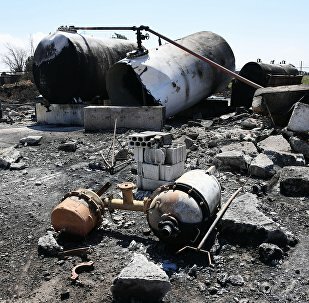 On Sunday, the Israel Defense Forces (IDF) allegedly struck the military base of the Damascus-backed National Defense Forces (NDF) in the Golan Heights, killing three Syrian fighters as a result. 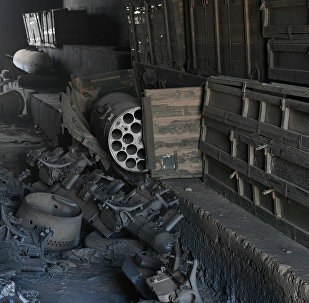 US President Donald Trump was initially "promising" until he attacked a Syrian military airfield this month, demonstrating that Washington is not committed to promises, Syrian President Bashar Assad told Sputnik. Syrian President Bashar Assad explained in an interview with Sputnik why the Syrian air defense did not down US cruise missiles that targeted a Syrian airbase in the Hama province earlier this month. US Defense Secretary has accused the Syrian government of violating its international obligations by retaining part of chemical weapons. Washington continues to pursue a deconfliction policy with Russia in Syria but is not coordinating its attacks, the US defense secretary said. Pakistan calls on all countries to show restraint amid the US missile strikes in Syria and urges the United Nations to launch a proper investigation into the chemical weapons incident in Syria’s Idlib province, which was used as pretext for the strike against the Ash Sha’irat airbase, Pakistani Deputy Foreign Minister Tasnim Aslam told Sputnik. North Korean leader Kim Jong-un condemned the US missile strike against Syria, Yonhap reported Monday, citing a message sent to Syrian President Bashar Assad on the occasion of Syrian independence day. 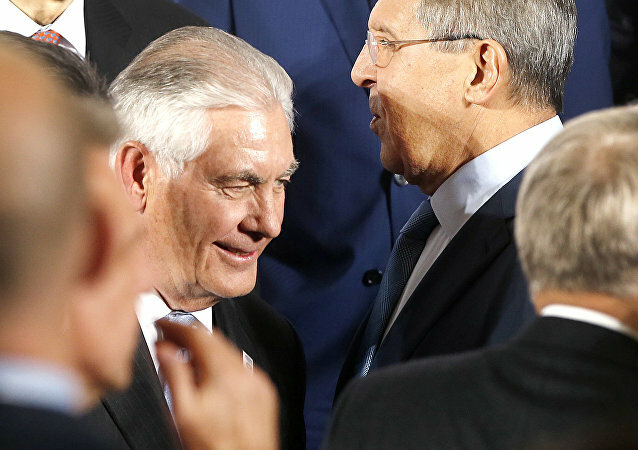 Washington's aggression against Syria impeded reconciliation in the country, the Russian foreign minister said.